Gov Suswam Says PDP Will Not Rig 2015 Elections. 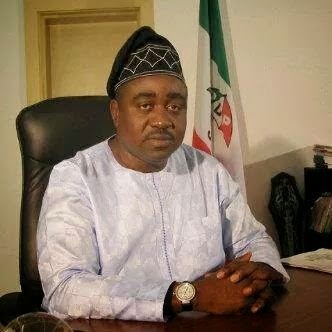 Benue state Governor Gabriel Suswam has said that his party, the Peoples Democratic Party, will not rig the 2015 elections. Suswam stated this in Makurdi shortly after the inauguration of the campaign team for the PDP governorship candidate, Terhemen Tarzoor, which is headed by Prof. Iyorwuese Hagher. He condemned the campaign that people should vote for candidates rather than party, describing it as anti-party and should attract sanctions. The governor gave Christmas and New Year gifts to party faithful in the tune of N9m, 12 cows and 600 bags of rice. However, the distribution of the items nearly led to a stampede as party members fought, forcing the police to use tear gas at the venue.